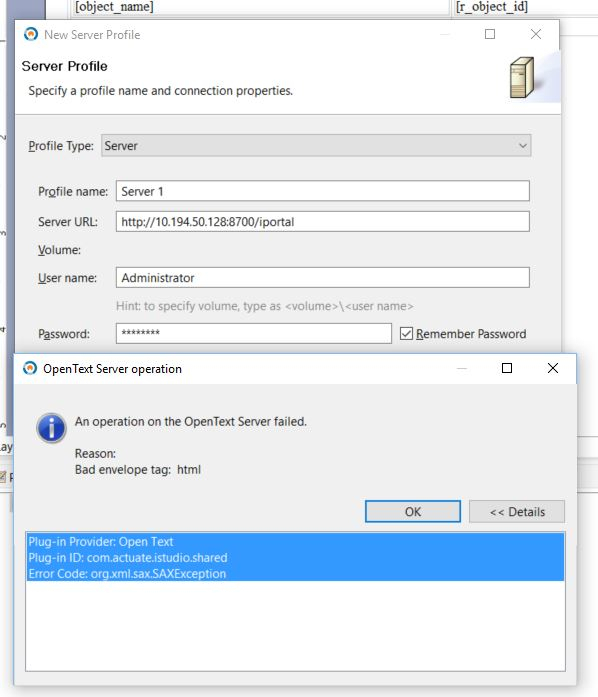 I am trying to create a server profile from OpenText Analytics Designer but getting below error. Also attached the screen shot of the error. 1. What am I missing here. I can access the iHub URL from the browser and login.